Current estimates suggest widespread adoption of open source software (OSS) in organizations worldwide. However, the problematic nature of OSS adoption is readily evidenced in the fairly frequent reports of problems, unforeseen hold-ups, and outright abandonment of OSS implementation over time. Hibernia Hospital, an Irish public sector organization, have embarked on the adoption of a range of OSS applications over several years, some of which have been successfully deployed and remain in live use within the organisation, whereas others, despite achieving high levels of assimilation over a number of years, have not been ultimately retained in live use in the organization. Using a longitudinal case study, we discuss in depth the deployment process for two OSS applications – the desktop application suite whose deployment was unsuccessful ultimately, and the email application which was successfully deployed. 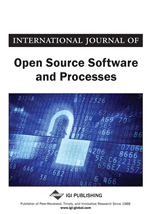 To our knowledge, this is the first such in-depth study into successful and unsuccessful OSS implementation.